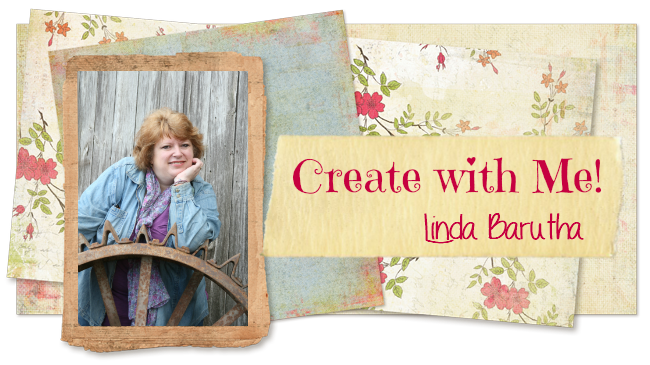 Linnie Blooms Design Team Blog: Greet Visitors with a Cheerful Canvas Hanging! 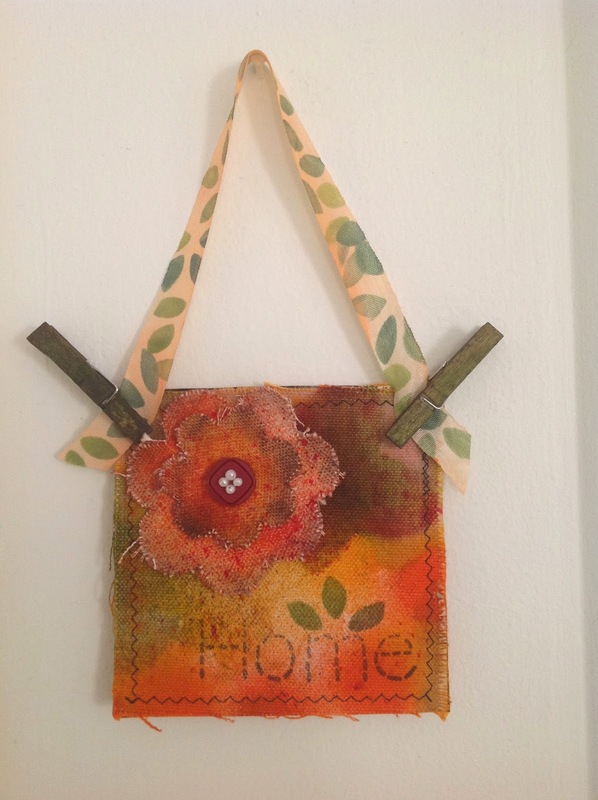 BASE: Using black ink, stamp “HOME” on the lower right-hand corner of Canvas Blank. Using Art Dauber, stencil 3 leaves in Pinetree, as shown. Put stamped Canvas Blank into Color Catcher (or other box). Place Butterfly Stencil in upper right-hand corner and spray with Artichoke; dry completely and iron flat, if desired. SHABBY TRIM: Cut a 10” length of Shabby Trim. Using Bloom Stencil, dab leaves onto trim with both green inks; dry. WOOD CLOTHESPINS: Spray Artichoke onto 2 clothespins. Wipe off excess; dry completely. CANVAS BLOOMS: Lightly press one large and one small canvas Bloom into Squash and Pumpkin Pie ink pads. Place into the spray box; lightly spray Bubblegum, Strawberry, Tangerine and Guava on both canvas pieces; dry completely. Dab Mudslide around edges. TO FINISH: Glue Blooms onto Blank with Fabri-Tac, pressing until glue grabs. Using Gem-Tac, add button and pearl embellishments, as shown; dry. Position stamped Shabby Trim and secure in corners with sprayed clothespins. Your wall hanging is now ready to display! That is pretty and pretty welcoming. Thanks so much! It was fun to do! Love the colors you used!!! Fabulous wall hanging!! Thank you! It was super fun to do!